My name is Rachael. 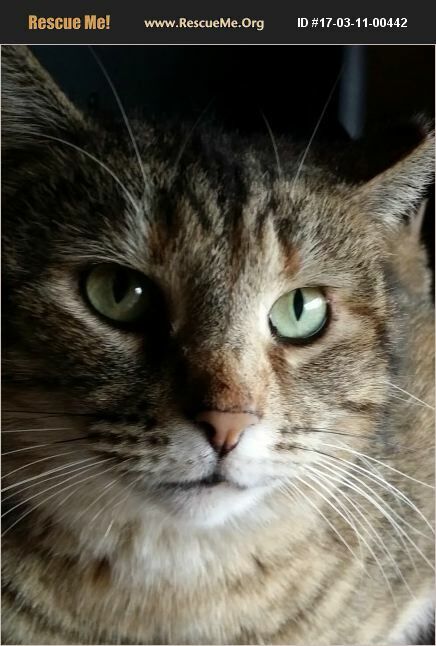 �%A0I have been an outdoor kitty all my life and had 2 litters of kittens before a kind family got me spayed. �%A0They did what they could for me, but due to financial constraints, could no longer care for me. �%A0I am quite large for a female cat and my love for others is just as large. �%A0I have a very gentle and sweet demeanor, adjusting well to new situations and people. �%A0I also get along well with other cats. �%A0I would love to find a family that will give me love and care for the rest of my life. �%A0Although I have always lived outdoors, I would do very well being a spoiled inside only kitty. �%A0Could you be the family that I have been waiting for?